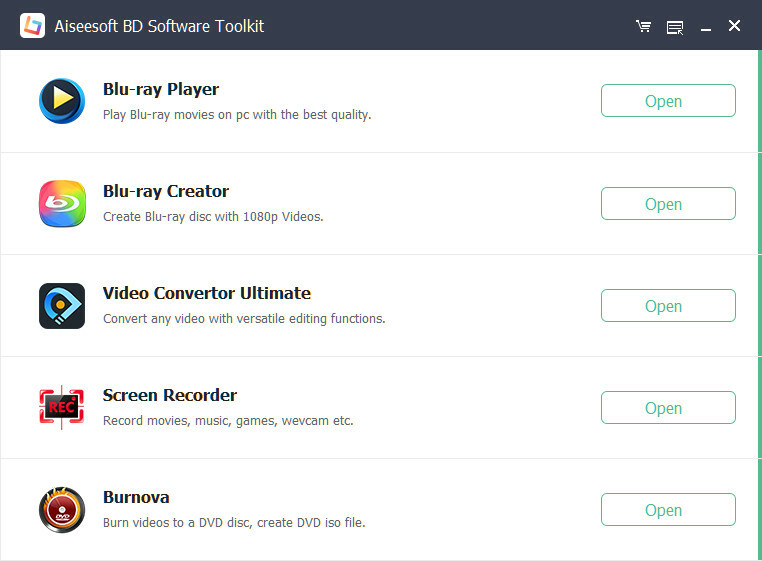 Aiseesoft BD Software Toolkit includes Blu-ray Ripper, Blu-ray Copy, Blu-ray Player, iPhone Transfer Platinum, DVD Creator, and 3D Converter, so users can rip any Blu-ray/DVD and convert video files to 3D and general video/audio formats, convert videos to DVD disc, transfer files between iPhone and computer, convert between 3D and 2D video, and convert between different 3D video. Plus, it supports the newest iPhone devices, HTC One X, HTC Butterfly, Samsung Galaxy S4, etc. Aiseesoft BD Software Toolkit enables users to rip any Blu-ray/DVD disc and convert popular video/audio files to any video and audio format for all popular portable devices. Users could freely convert any 2D/3D Blu-ray, DVD, video to 3D mode. The supported 3D mode includes Anaglyph 3D, Side by Side (Half-Width) 3D, Side by Side (Full) 3D, Top and Bottom (Half-Height) 3D and Top and Bottom (Full) 3D. Users can burn Blu-ray folder to Blu-ray disc and copy BD disc to Blu-ray folder and ISO files on hard drive. 4Easysoft Mac XviD Converter is dedicated to convert mainstream video/HD video to XviD, DivX, MPEG-4, MOV, AVI, XviD HD, DivX HD formats on Mac, such as MPG, MPEG, MPEG 2, VOB, DAT, MP4, M4V, TS, RM, RMVB.